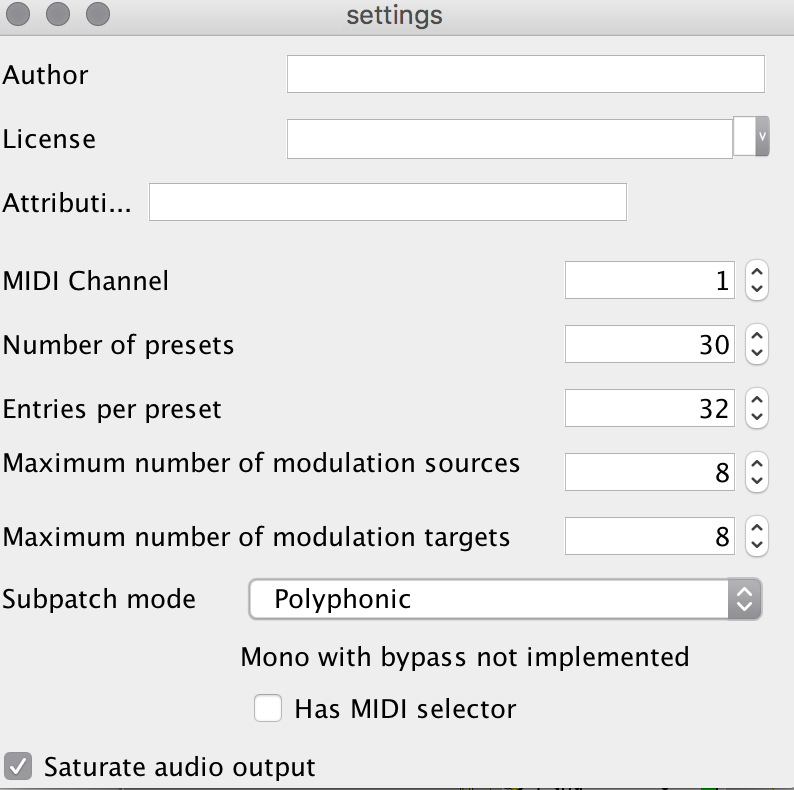 My patch is a polyphonic, monotimbral sample. I recently added @cpwitz 's arpeggiator. I have a weird behavior with it. I must be doing something wrong. When I switch from midi keyboard input to arpeggiator I get a boost up in volume and the sound is like overdriven. 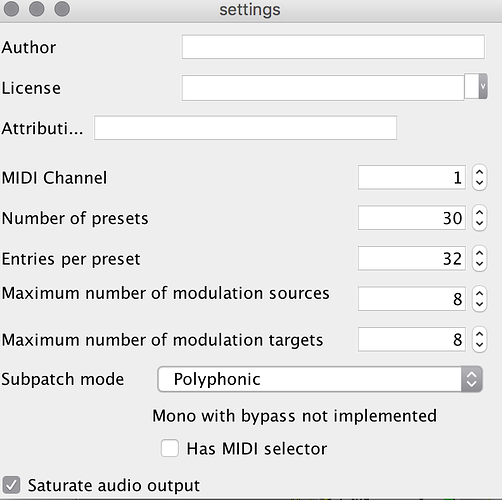 Using a poly subpatch like in your patch, with the arp connected to inlets for gate/pitch, will always trigger all 8 poly-voices at the same time. I'd propose to use a a midi/out/note object instead, set to device "internal port 1". 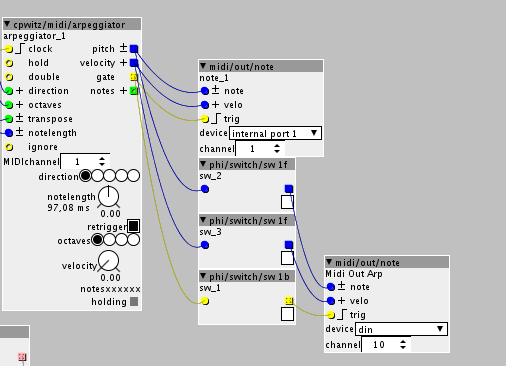 Then the notes are distributed through the poly note-cycling algorithm. thanks, if I understand I need to set it like this in the main patch, right? but what is the poly note-cycling algorithm? 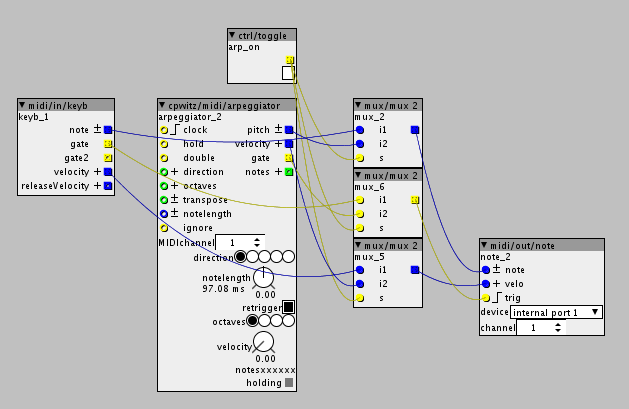 A poly voice distributes each incoming midi note to the next of the (in your case) 8 voices. I think, Axoloti uses a simple round-robin method, always using the next voice and starting again with 1 after the 8th. But I may be wrong about this. There are more sophisticated voice distribution methods, like re-using the oldest played note or even considering the output/env level. the problem I have is that I still get the normal playing at the same time, I don't know how to get it to switch between the two. Do you know how I could handle this? That's just a draft, I haven't tested it. But you get the idea, right? it unfortunately breaks the normal playback. it plays at a higher pitch and arpeggio only plays half a mesure.